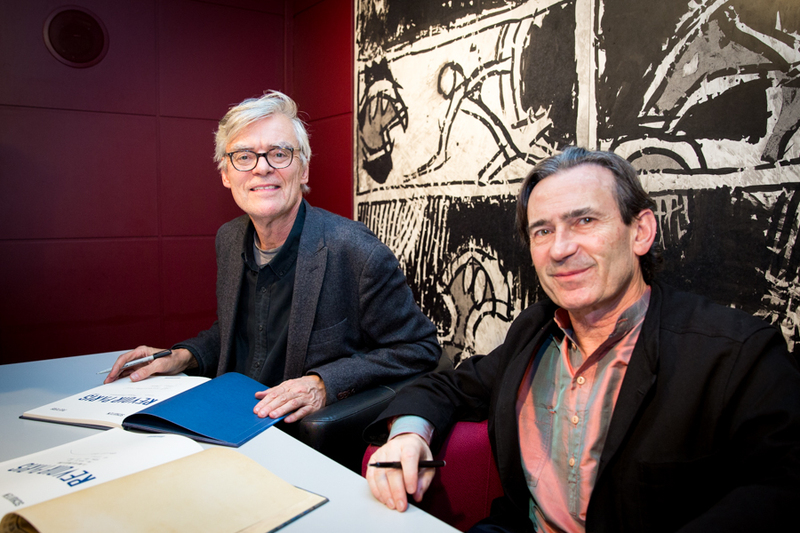 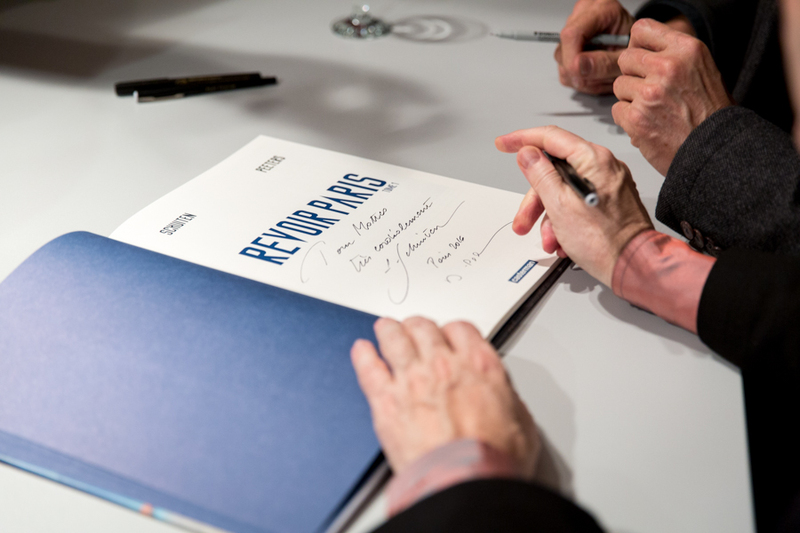 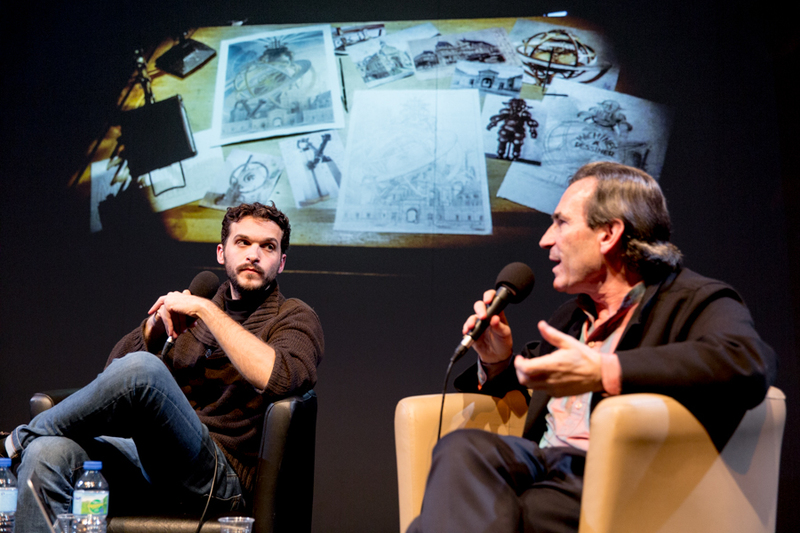 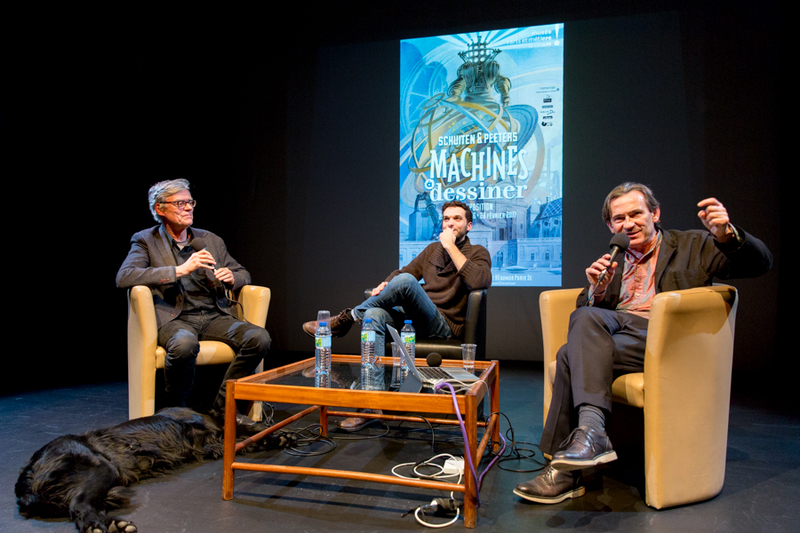 François Schuiten and Benoît Peeters visited the Centre Wallonie-Bruxelles in Paris on November 18, 2016 to talk about Revoir Paris and Machines à Dessiner. 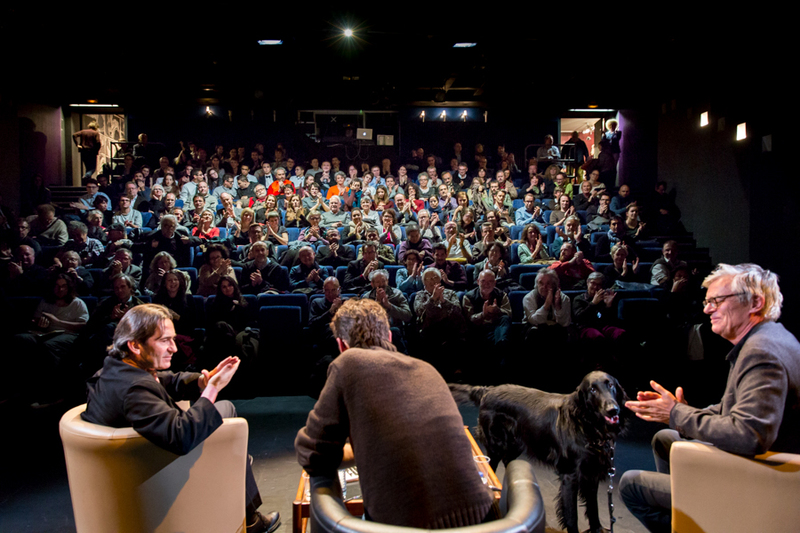 During this event the movie À quatre mains, made by Guillaume Diamant-Berger and Adrien Genoudet was shown for the first time in public. 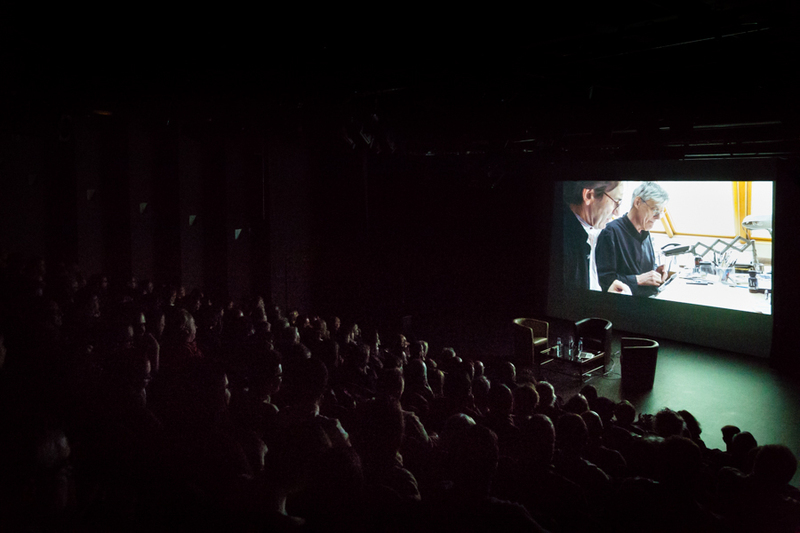 Also the movie Naissance d’une affiche by Vladmir Peeters was shown. 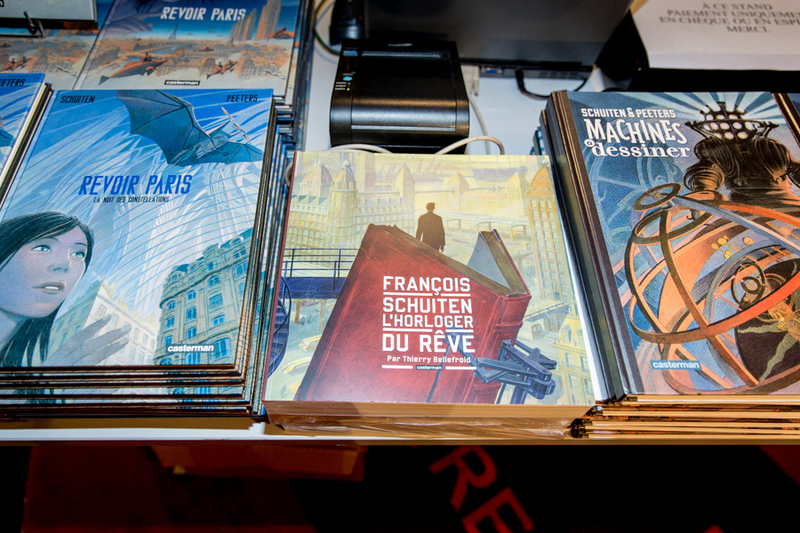 Benoît Peeters shared the following pictures. 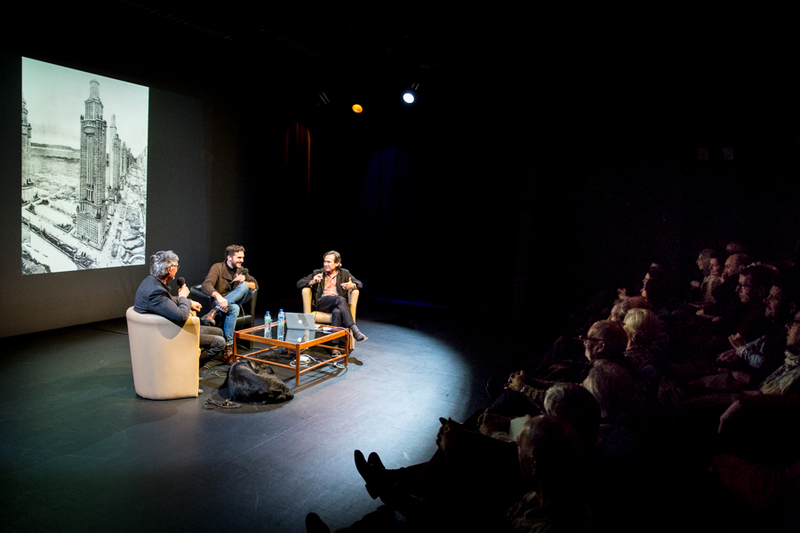 During the event Luca Lomazzi 1) made the following pictures for the Centre Wallonie-Bruxelles 2).